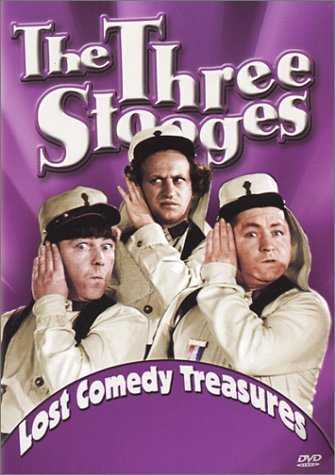 So what, exactly, are the Three Stooges’ lost comedy treasures? A compilation of little-seen Three Stooges bits from various television appearances, TV commercials, movie trailers and clips from movies that the Three Stooges appeared in that aren’t easily found. The Steve Allen Show appearances, all by themselves, are hilarious and worth the cost of the DVD.